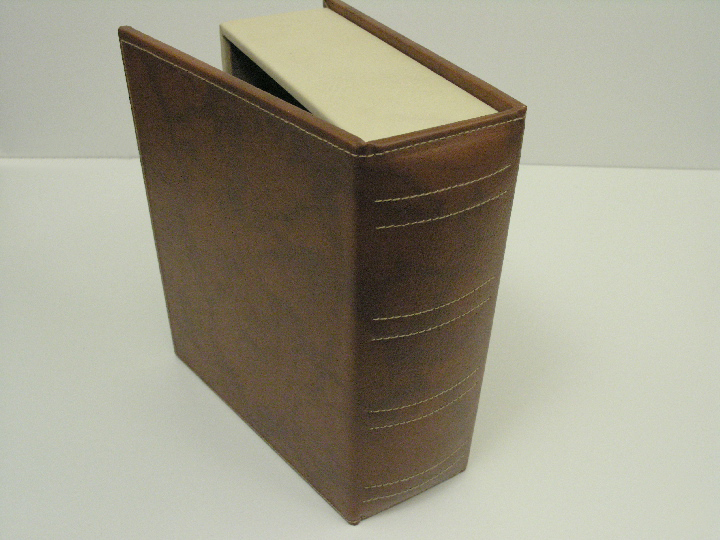 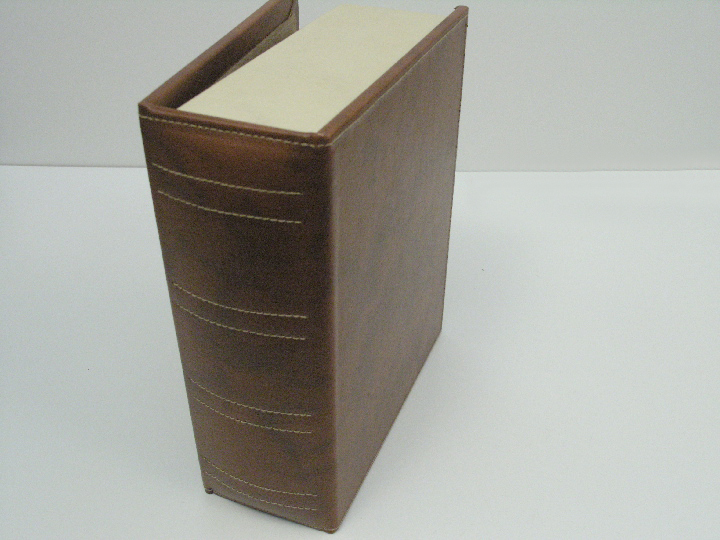 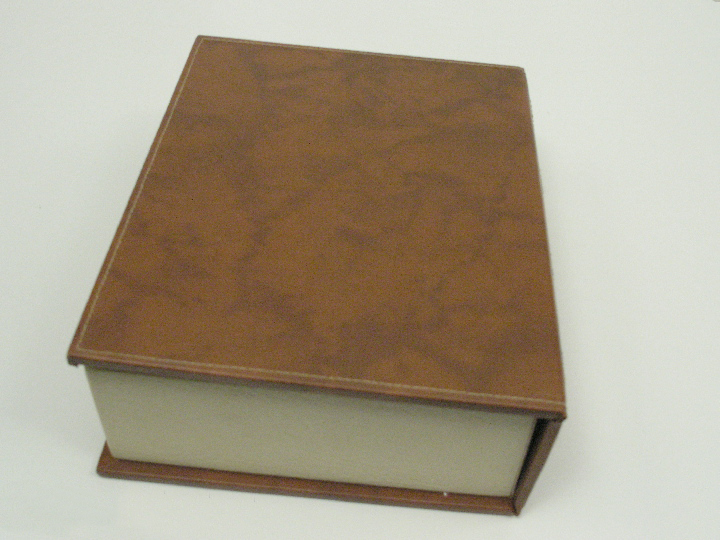 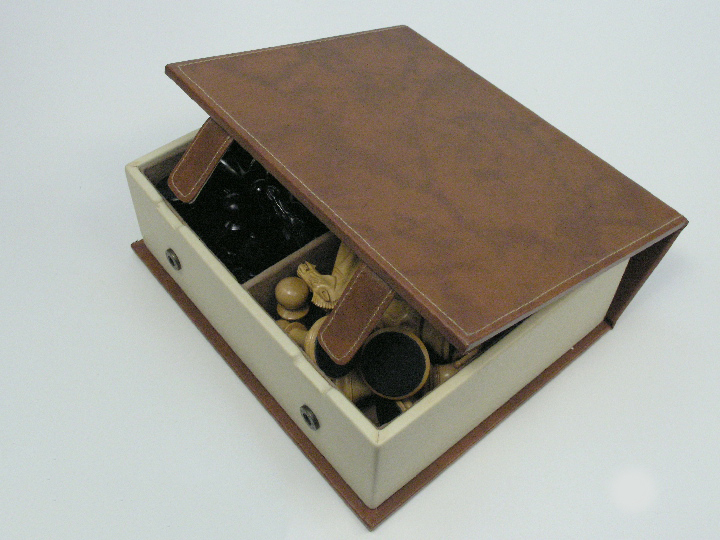 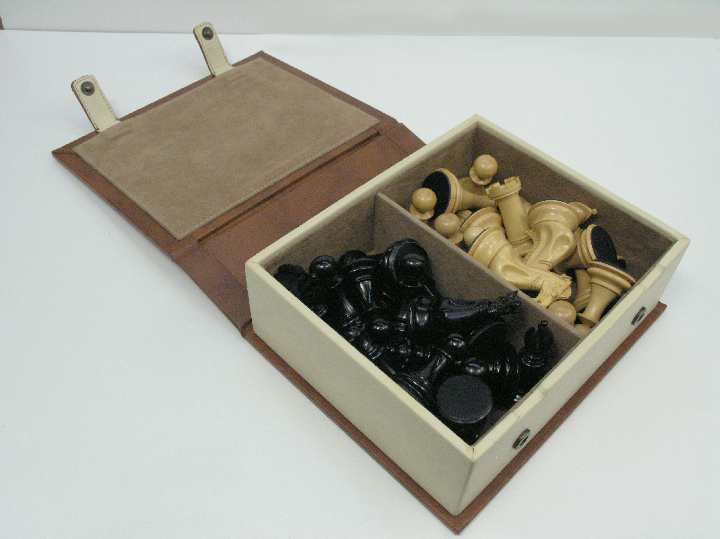 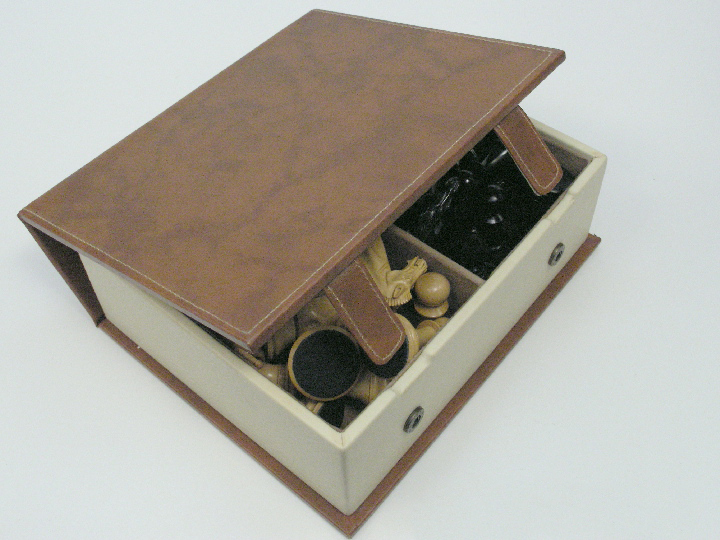 This product from Chess Baron: Beautiful leather protective chess case for chess pieces. 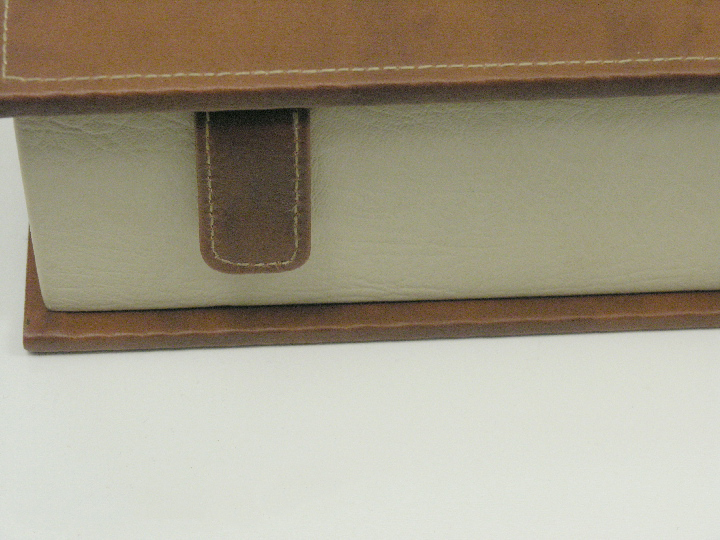 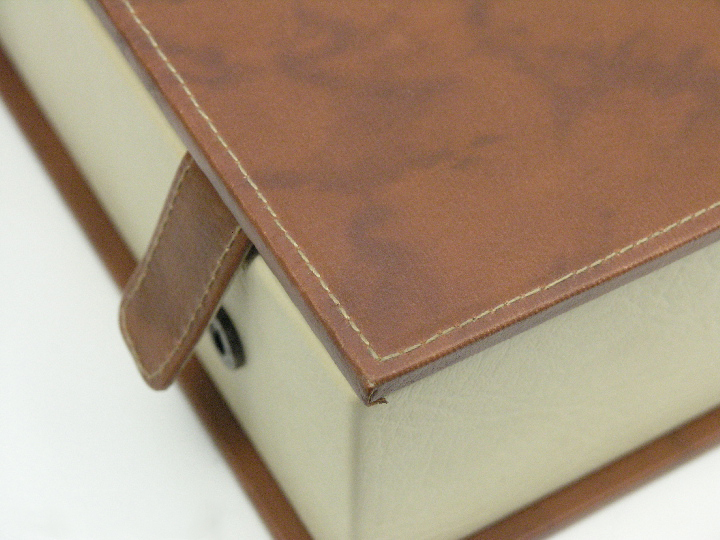 The case has lovely colouring, lots of space and is very well constructed with high quality material. 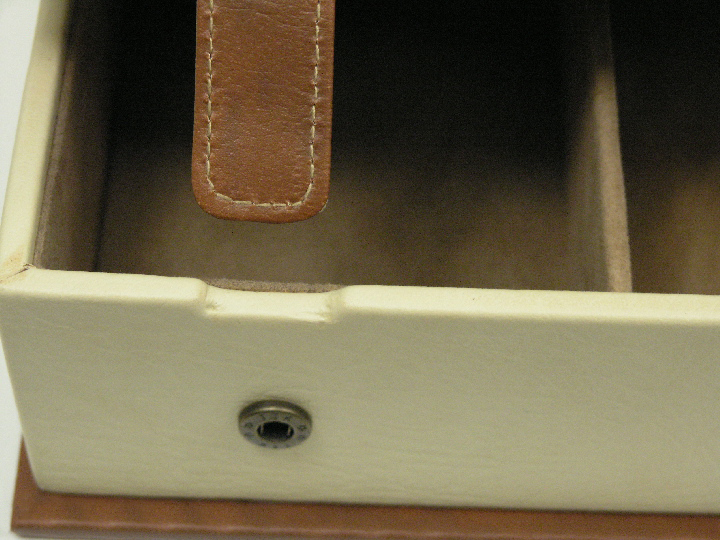 It has buttons as high quality fasteners. 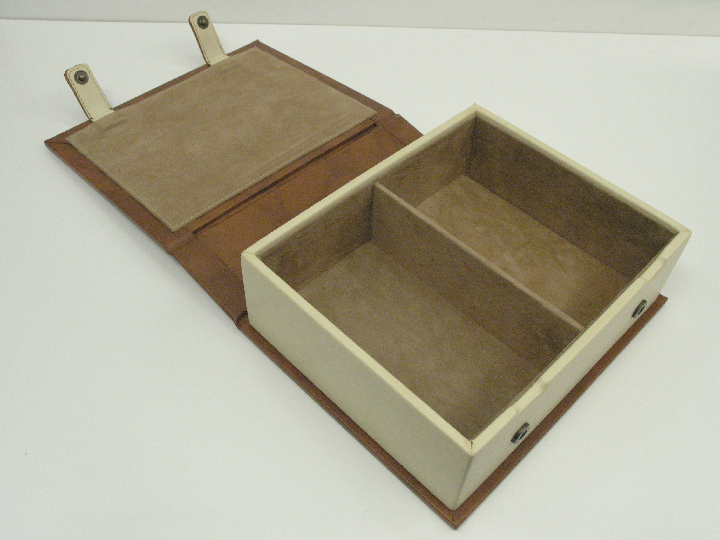 The measurements are inches by 10 inches by 7 inches by 4 inches and carries most sets comfortably.